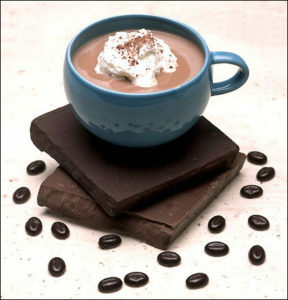 >Twitter Amazes Us Again…and even serves up a cup of cocoa. Ok, so we’ve blogged about Twitter and its benefits a few times before. But as we Tweet more and more, it’s amazing to see how Twitter has opened up a whole new meaning to communication, connectivity, and customer service. First of all, Twitter gives you a one-degree separation between you and the people and businesses on Twitter. Move out of the way, Kevin Bacon, Twitter’s got you beat! It’s so easy to Tweet your favorite celebrity, reporter, business, and so on. Of course you’ll need to do a little investigating (quick Google search) to make sure the user you’re tweeting is the “real” person or business you’re looking for (versus imposters). And, many times, they will reply back to you. We’ve tweeted to and received replies from Al Roker, KGMB9 News, Starbucks, Zippy’s, and Andy Bumatai, to name a few. So cool! We know it’s cheesy to be star struck, but we don’t care…we LOVE it! As a frequent Starbucks drinker, I was thrilled and very impressed with the prompt response I got when I tweeted @Starbucks a question one day. In terms of brand loyalty, can you imagine how my original warm-and-fuzzy feelings for my favorite coffee stop got even warmer and fuzzier (and led to more visits and purchases)? We’ve been exposed to the “cool-ness” of Twitter but recently, we were again amazed by the power of Twitter. I was tweeting with FMPR’s Twitter friend @johngarcia, a web designer and photographer in Honolulu. We were talking about the Keurig single cup coffee maker, which uses the “K-cup, an individual cup of your favorite hot beverage concentrate (coffee grinds, tea leaves, chai mix, cocoa, etc.) to brew your drink. We were trading our K-cup favorites when I tweeted him, “Once we got the hot chocolate K-cup from Macy’s n it tasted like plastic…beware of that one.” He replied,” Darn, I think we have that one, too… oh wells… those’ll be filler in the carousel. :-)” That was my last Twitter conversation of the night, and I headed off to bed without a second thought (well, I did think about getting a cup of coffee from my sister’s Keurig, but decided to pass on that since it was practically midnight and even though we’re neighbors, I didn’t think she would appreciate me dropping by at that hour). The next morning when I checked our Twitter account, Green Mountain Coffee @GreenMtnCoffee, who apparently is the maker of that particular hot chocolate K-cup had tweeted us, “@fmpr We understand you were not satisfied with Hot Cocoa. It is important that the k-cups are kept at room temp. & shaken prior to use.” Ahhh! At first I was stunned and a little embarrassed that the actual hot chocolate company had “caught” me criticizing their product. But then I thought to myself that I wasn’t totally bashing them and I was telling my truth. I immediately tweeted @johngarcia who got a good chuckle from it and suggested I blog about it (thanks again, John), and it got me thinking more about this experience. This was customer service at its finest. I didn’t even have to contact the company, they came to me. And, to tell you the truth, if they hadn’t tweeted me, I would have gone along with my life adding this company to my “never-buy-or-try-again list.” But because of this interaction, I am willing to give them another chance, maybe not with that particular flavor, but with another one. Importantly, I have positive feelings about the way that they reached out to me. It showed me that they care about their customers and their reputation, and they are not afraid to address the undesirable feedback about their products. This counts for a lot. I will never forget this experience and that company’s name. So, if you have a business, consider using Twitter and think about how you can reach out to your customers like never before. If you’ve dismissed the idea of Tweeting before because of the time it’ll take to learn or to administer during the day, think (or tweet) again…it has the potential to revolutionize your image.